Esther loves marketing, writing and chocolate. Numbers and analytics make her happy. She is always on the hunt for the best possible customer experience, both online and offline. In her free time she enjoys painting (canvasses that is, definitely not houses), drinking tea by the gallon and hosting Netflix marathons. 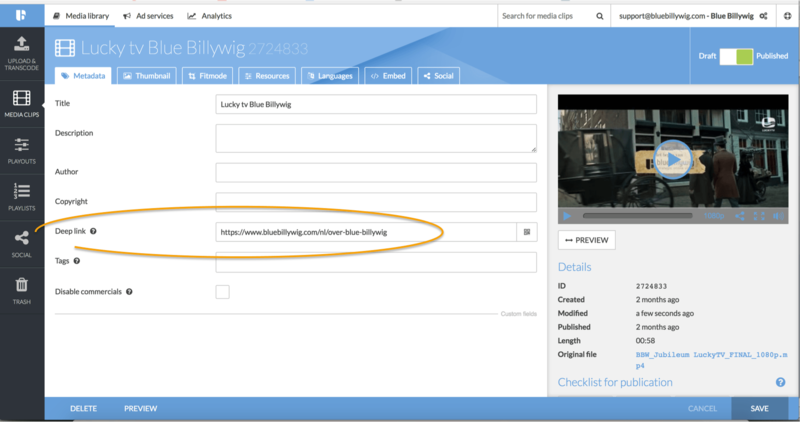 The Blue Billywig Video Player already made it possible to share videos via Facebook, Twitter, e-mail and even Pinterest. 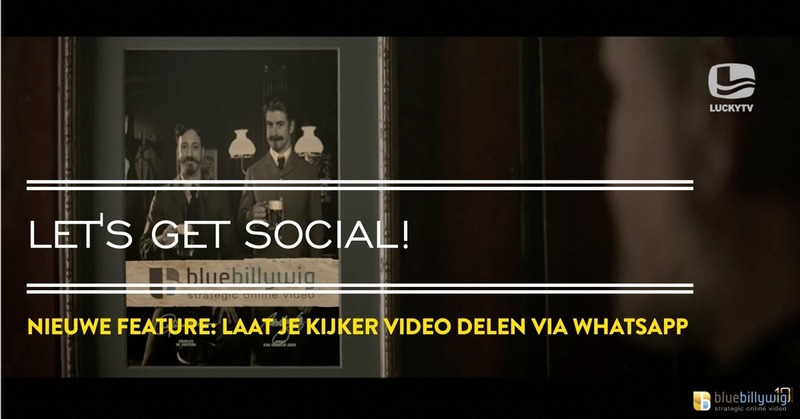 And this very social Video Player got even more social. We have added another platform to this list: WhatsApp. 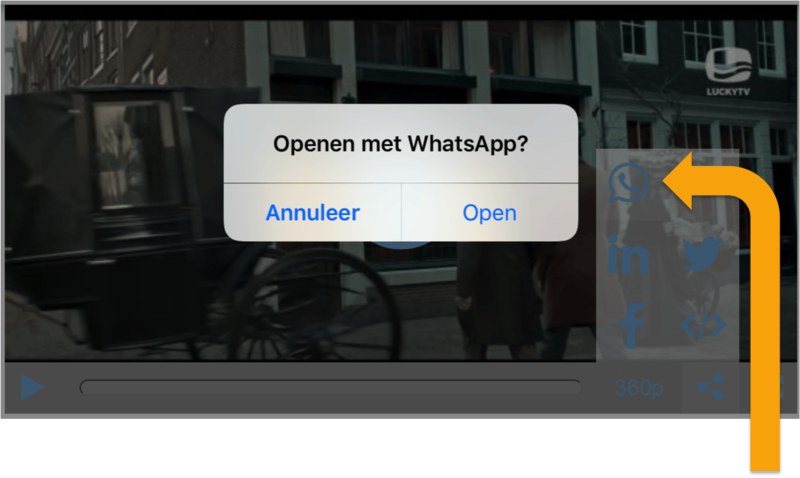 This newest addition makes it possible for viewers to share videos directly via WhatsApp. Social sharing has never been easier. 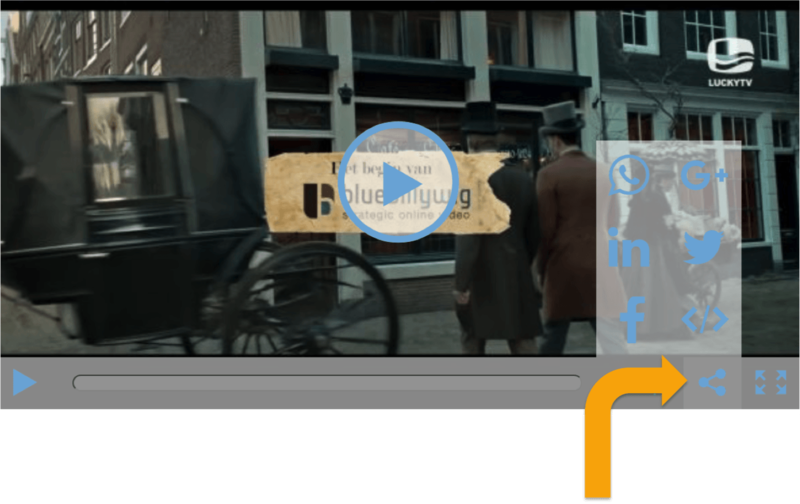 Sharing video via WhatsApp: how? 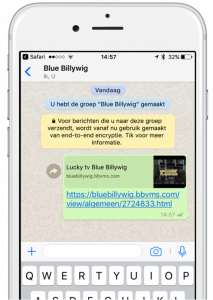 Sharing video using WhatsApp is fairly easy: in the settings for the video player (playout) you can specify whether videos can be shared and on which platforms the video can be shared. In the Online Video Platform you browse to your Media Library. Here, you select the right playout. In the ‘Sharing’ tab you indicate which options should be switched on or off. For the viewer it is no rocket science either. The control bar contains a social sharing icon. By clicking this, the viewer sees the various logos of social platforms. In order to share, the viewer simply clicks the logo of the social platform of their choice. The Video Player will automatically navigate to this social platform. For this to work, the app has to be installed on the mobile device. Data such as title and thumbnail are automatically added to the video and the link. To Deeplink or not to deeplink? Something important to consider for social sharing, is the use of a deeplink. As you can see in the image, we have chosen not to use a deeplink. When not doing so, the Video Player automatically grabs the viewpage to share the video. This is the best choice whenever you place multiple videos on one page. However, for SEO it is better to set a deeplink. How to do this? In the OVP you go to the correct playout. There, you select the tab ‘Sharing’ and select the option ‘Use deeplink for social links’. In the settings for the mediaclip you can set up the correct deeplink. Go to the tab ‘Metadata’ en fill out the URL where the video can be found. Google grabs this page as the sourcepage, meaning the original page where you host your video. Read more about video SEO and video deeplinks. Beware! You set up a particular playout to use a deeplink. So, this means every video that is played in that particular playout automatically uses a deeplink. If you want to avoid this, then make sure you leave the URL empty for videos that you want to share on a view page. 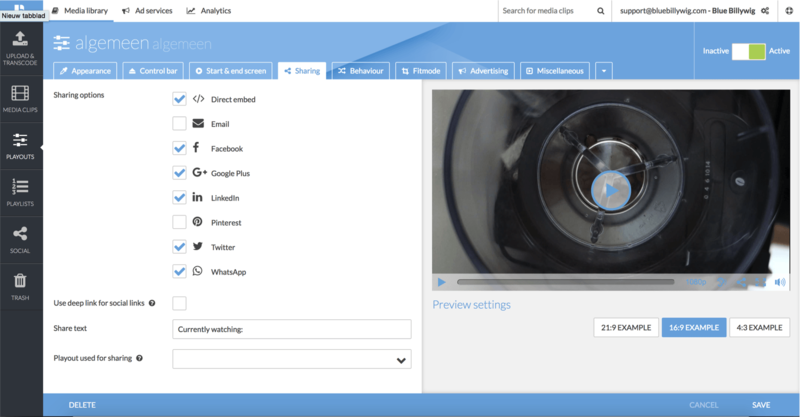 Want to read more about online video and stay updated on the latest developments and features? Sign-up for the newsletter and never miss an update.